Whether you need your hot water tank replaced or need your furnace cleaned, our Medicine Hat Plumbers are here for you . Call us to find out why our plumbers are the best plumbers Medicine Hat has to offer! Action Auger Medicine hat provides you with the best plumbing experience possible in your local area. We offer straightforward pricing and our plumbing technicians are amongst the best in the industry. Whatever your plumbing & heating needs, our Medicine Hat Plumbers are here to help you 24/7. "I was very happy with Bryan from this plumbing company. He was very honest and broke everything down for me. I was really impressed with the work, Way to go Gentleman Plumbers. " Anywhere in Medicine Hat and the surrounding community, we have certified professional plumbers waiting to help. This includes Brooks and Strathmore. Give us a call! A sump pump is a mechanical device installed in the basement of some homes to prevent water damage by pumping ground water away from the building and into an area that won’t be damaged by it – typically a dry well or a city’s storm drain. Some houses may have older sump pumps that are tied into the town’s sanitary lines as this was previously considered best practice. However, current understanding of overburdening these systems – especially during crises – has led many municipalities to ban or even outlaw it. In deciding whether or not to install a sump pump in your home, gaining an understanding of local regulations is very important. 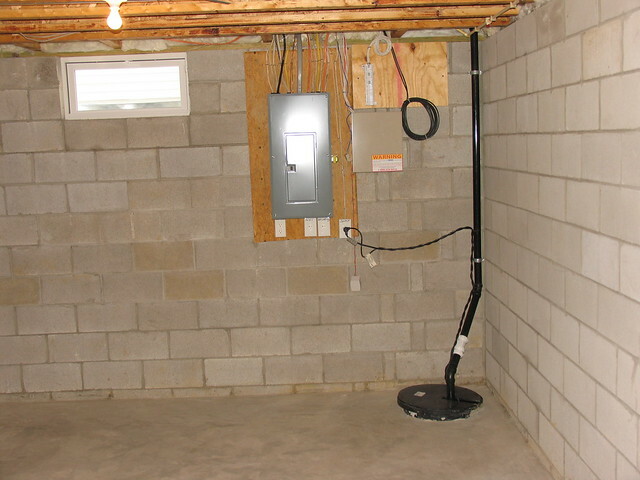 Some municipalities require sump pumps installed in every home, while others mandate their use in only specified parts of the city. Some locations may even eligible for tax incentives for installing a sump pump. If you want a sump pump to help protect your home even in an area that doesn’t legally require it, you should contact a professional who is qualified to provide information about your property’s water table and expert advice on how best to proceed. Signs of mould growth in your basement, visible cracks in the foundation, or a musty odour present in your lower levels of your home may be signs that you need a sump pump. Note also that sump pumps should be installed with some form of backup system to help protect you in the event of a disaster. Action Auger has extensive experience installing and servicing all types of sump pumps. If we can assist you with yours, don’t hesitate to give us a call – day or night!